Ochs encloses a check for $15,000, completing his $25,000 commitment. Written on New York Times stationery. 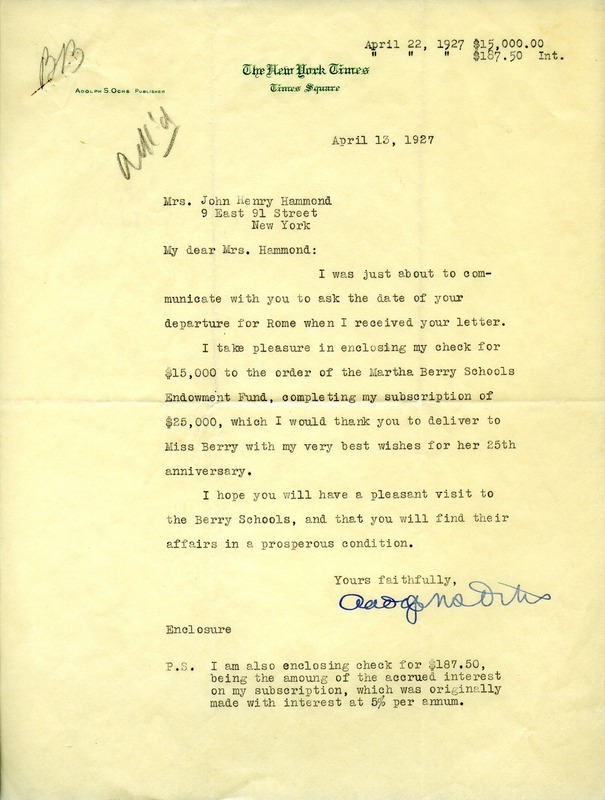 Adolph S. Ochs, “Letter to Emily Vanderbilt Hammond from Adolph Ochs.” Martha Berry Digital Archive. Eds. Schlitz, Stephanie A., Sherre Harrington, et al. Mount Berry: Berry College, 2012. accessed April 24, 2019, https://mbda.berry.edu/items/show/5335.